We are pleased and proud to share the news that Wallem has been selected as a finalist for the 2018 Ship Manager of the Year Award, organised by Lloyd’s List. Wallem’s award entry emphasized our strong safety culture reflected in our industry-leading safety record and our commitment to ensuring the safety and wellbeing of our seafarers. This commitment has been formalised in our wellness@sea programme which covers mental, emotional and physical health including stress management, healthy eating and how to ensure a positive working culture and behaviour. Wallem manages a range of vessel types, with an emphasis on safety, quality and operational efficiency. Our number one priority is ensuring that Wallem seafarers return home safely to their families. This begins with the promotion of a positive safety culture, reinforced at every level throughout the organisation and includes commitment to the safety and wellbeing of every seafarer. Training is done according to the highest marine safety standards utilising latest technologies and equipment. It is done at our own Wallem Training centres in 8 key locations around the world and includes the effective use of our own systems and processes that form the backbone of efficient and safe vessel operations. We are proud of our high retention rate and careers at Wallem are supported with lifelong mentoring in order to support transitions from sea to shore. Wallem has long-standing partnerships with various key clients. These partnerships are strengthened by mutual focus on the wellbeing of seafarers, the importance of effective and high quality training and on safe and efficient operations. 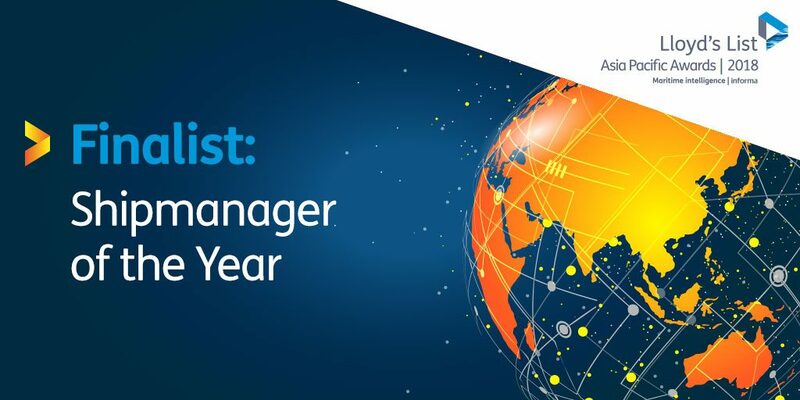 Wallem Ship Management was proud to win Ship Manager of the Year in 2017 and we are equally proud to have made the list of finalists for 2018! Award winners will be announced at a special ceremony on 27th September in Singapore.